Another furniture project of mine was a child’s rocking chair. This was a very simple project and yet it took me the longest time to redo. Maybe it was procrastination, but I think that the main reason that it took so long to redo was because my child couldn’t read. 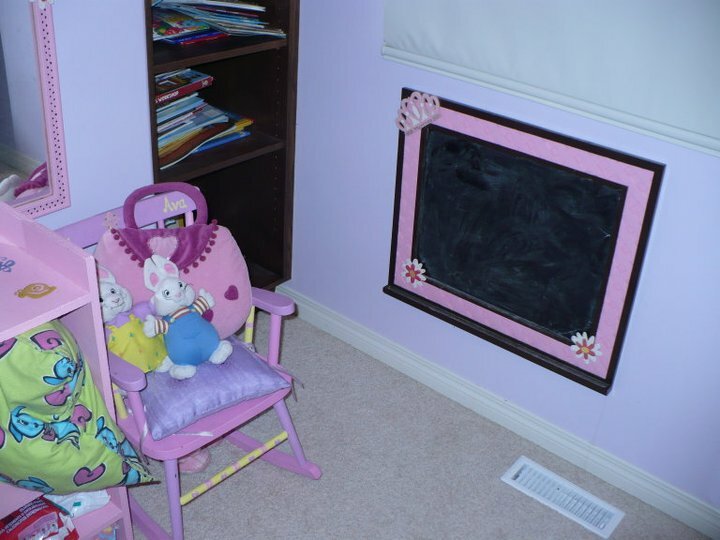 If she could read, she would have known that her rocking chair had other kid’s names painted on it. You got it, another thrift store find. $5 this time, and neglectfully I let my kid rock in a chair bearing strangers names for over three years. What a bad mom am I? But the moment that she started to sound out some words, I realized that I had to get on that. This was quite a quick and easy project so I won’t bore everyone with the details. Here is a sweet before picture. 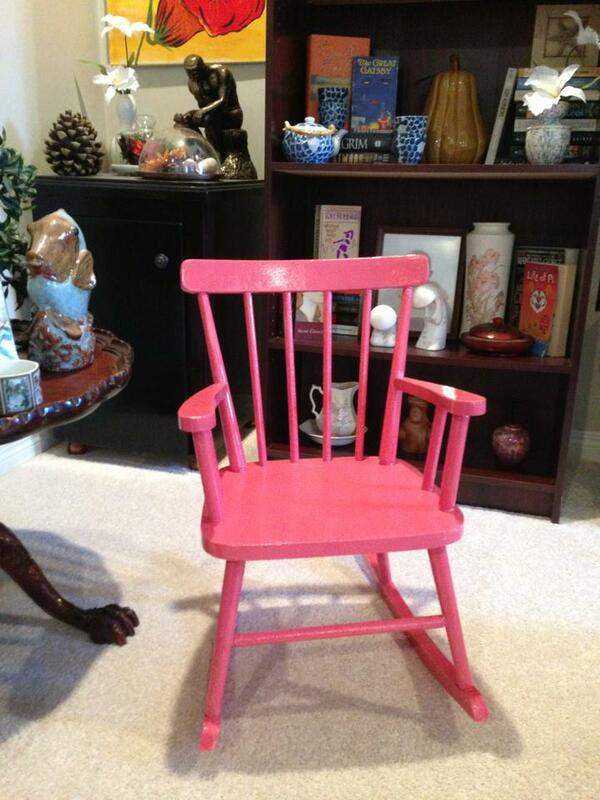 If this was your rocking chair at one time, please don’t hate me for painting over your paint job. There were two child’s names painted on it, and it was a lovely shade of yellow and pink. Very interesting, just not my style. So I finally found some time and primed it and doused the entire thing in a wonderful shade of watermelon pink. I really love this little chair. This colour is so much fun too. I think it looks so much better now! Like I said, a little primer and paint and then spray the whole thing with varathane and you’re done. < Previous DID I MENTION THAT I’M FAKING IT MOSTLY?